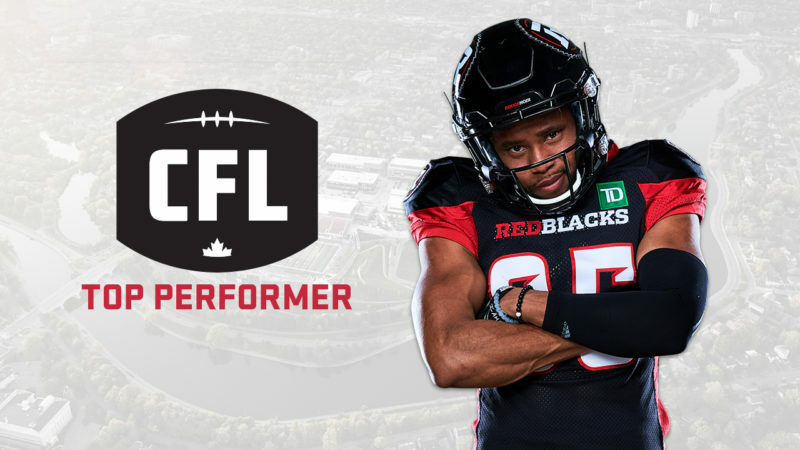 REDBLACKS receiver Diontae Spencer has been named one of the CFL’s Shaw Top Performers for Week 20, the league announced Tuesday. Despite cold, windy and rainy conditions in Hamilton last weekend, Spencer caught four passes for 116 yards and two touchdowns to help the REDBLACKS clinch the CFL’s East title. Spencer also had five punt returns for a combined 130 yards. Spencer and the REDBLACKS are back in action on Friday night when they host the Toronto Argonauts in the regular season finale. The REDBLACKS will then host the winner of the East Semi-Final between the BC Lions and Hamilton Tiger-Cats in the East Final on Sunday, November 18 at TD Place.